No other organization represents the geotechnical consulting profession better than CalGeo, and we offer a number of membership options to meet the diverse needs of those serving the industry. Membership dues are tax deductible, so join today! 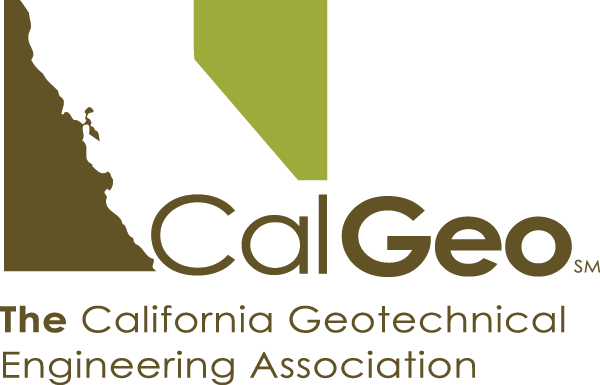 CalGeo offers continuous networking opportunities, highly educational events and cost-saving services that have the cumulative effect of producing stronger, more profitable members of the geotechnical industry. Contact us to find out how CalGeo can help your bottom line! Download our Membership Benefits PDF and share with your colleagues. Download our 2017 Membership Growth recap infographic. Organizations with at least one Registered Geotechnical Engineer actively practicing in the geotechnical profession. Organizations with at least one employee qualified as a Registered Civil Engineer who is actively practicing in the geotechnical profession. Individuals or organizations that support the geotechnical profession with products or services. Affiliate Members receive a FREE EXHIBIT BOOTH at our Annual Conference with one (1) paid full conference registration. Conference exhibit space is available exclusively to Affiliate Members on a first-come, first-served basis depending on venue capacity. $1,790 Includes a complete listing of our membership (in Micosoft Excel), a rotating logo & link placement on the front page of our website, and an ad in one of our monthly e.Geo electronic newsletters. An individual engaged in the private-practice geotechnical profession. College professors and students studying geotechnical engineering. Lifetime members are inducted into CalGeo by the board. If you would like to update your contact information and make a donation to our general or student outreach funds, please complete the form below. The primary, alternate and marketing representatives you designate will each receive a copy of all mailings & e-mails generated by CalGeo (notifications of meetings, conferences, workshops, training classes, the newsletter, any special bulletins, etc.). You may also designate additional branch offices to receive this information at no charge. We offer special savings incentives to our members on programs and other packages throughout the year. In addition, members may elect to make donations to the CalGeo Student Outreach Fund (tax deductible as a charity donation) or the Voluntary General Fund. All membership dues are usually tax deductible as an ordinary and necessary business expense. * "Employee," for purposes of CalGeo membership dues calculations, is defined as any person directly involved in soil engineering, geology, or environmental sciences; support staff (lab and field technicians) and administrative staff involved in supporting these services in the State of California. Part-time employees should be on a full-time equivalent basis (total part-time-employee hours divided by 160 hours). *Multi-disciplinary or multi-state/national firms need only count the employees in the geotechnical group within California.